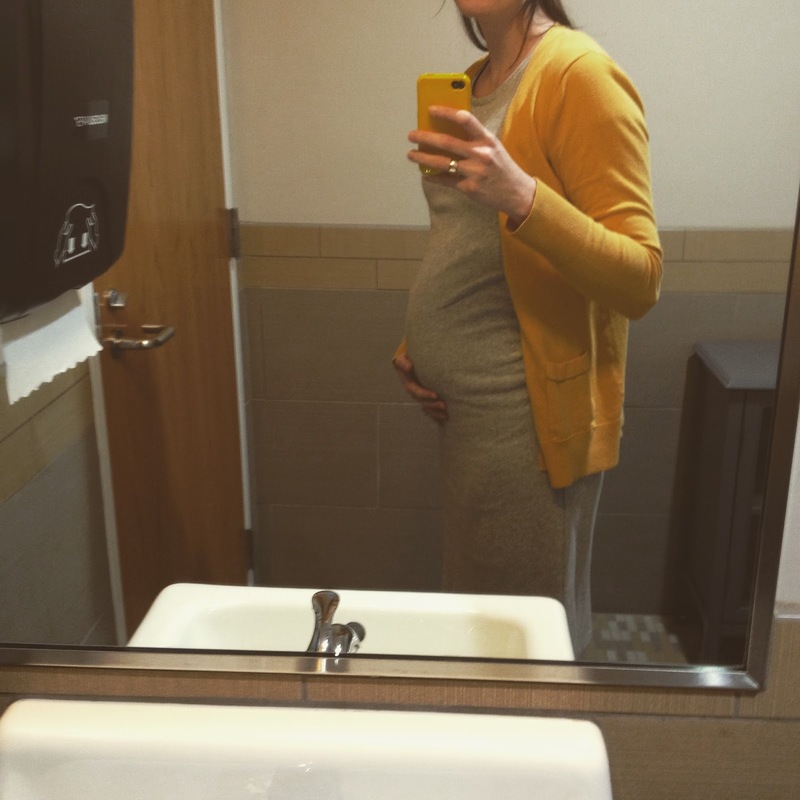 When I was pregnant with Sam, I blogged each week, posed my growing belly for pictures, and thought long and hard over each word I wrote for my son. A terrible bathroom selfie with a hashtag #nopenottwins. 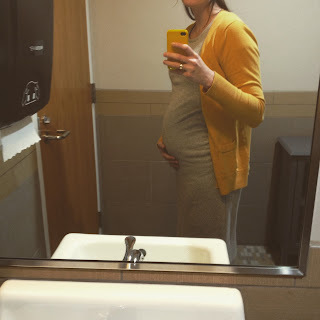 With Sam, this blog was so vibrant with prayers for my growing baby. But that doesn't mean we aren't over the moon that our family is growing. Baby boy Theodore, we are so excited to meet you. Truly. Even if my days are filled more with potty training your brother than daydreaming about my growing belly. Please don't take it personally. You are incredibly loved -- we are incredibly blessed. While I had lots of time to think about my first pregnancy, I hope it's ok that I'm spending more time making sure your brother doesn't accidentally punch you in utero. 21 weeks down, Teddy. See you in the fall! Love this name for your sweet second baby! Ha ha, I totally get this. With baby no. 1 i got my husband to take a bump shot of me every week and I kept up to date with weeks in my pregnancy book. Sadly baby no.2 didn't get the same bump shots. I fact there are hardly any photos of me showing off my bump. Let alone knowing what week it was!